Start Your WordPress Blog With HostGator Today! My Trusted WordPress hosting Provider, HostGator is offering affordable WordPress hosting deals on all their hosting packages. If you haven’t started your blog yet, today would be a great day to great started! HostGator gives you a vast array of tools to take your idea or business online today! From site building tools and templates, to our one-click application installer, everything you need to launch a website is literally at your fingertips. 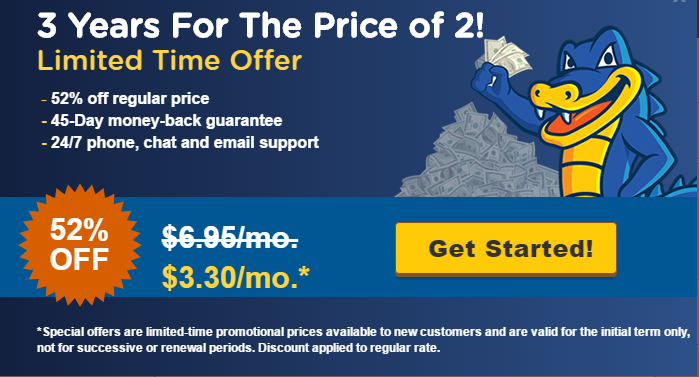 With this deal, you can start a new blog for as low as $3.95 a month! What makes this deal even better? Is that; I will install and set up your new WordPress blog for you for free?! Free WordPress Installation and Setup! All you have to do is order a web hosting plan from HostGator, then forward me the HostGator cPanel login information to sibanda.geneva [at] yahoo.com, and I’ll install WordPress for you. Afterwards, I’ll email you back the login information for your new WordPress blog and you can start blogging! Not only will you get your blog hosting at a huge discount, but every hosting plan at HostGator comes with $100 of Google AdWords credit that you can use to promote your new blog. Start your blog for 43% off, get WordPress and plugins setup for free, and get $100 of AdWords credit. You won’t find a better deal anywhere! This is really an unbelievable deal for everybody who needs to get going! If you were thinking about starting your blog, RIGHT NOW is the time to do it! Order your web hosting plan and let me set up a new WordPress blog for you. Spread the word and forward this promotion to your friends!